The Patent Litigation Year in Review 2016 Report is Here! 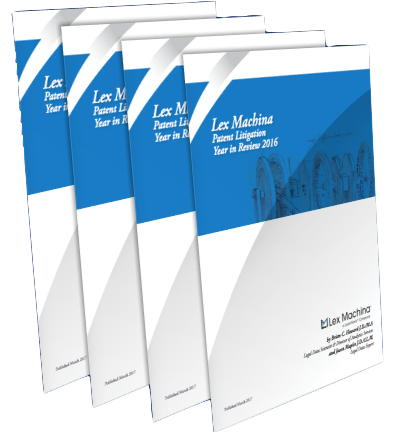 Lex Machina's fourth annual Patent Litigation Report surveys and summarizes the key trends that have emerged over the past year. The report showcases the power of Legal Analytics®.